My husband is in New York City this week, and it reminded me of some images I took there last summer. From his description – 61F and rain, doesn’t look there is much difference between June and December in The City. Thus the image of Empire State Building in fog is quite appropriate at this time of the year as well. That particular day, discouraged by the renovations and exhibit changes and overall tourist crowds, I decided just take a walk around Midtown. First I was unhappy with the weather, it was light rain and foggy, but then I decided to portray the City the way it was. 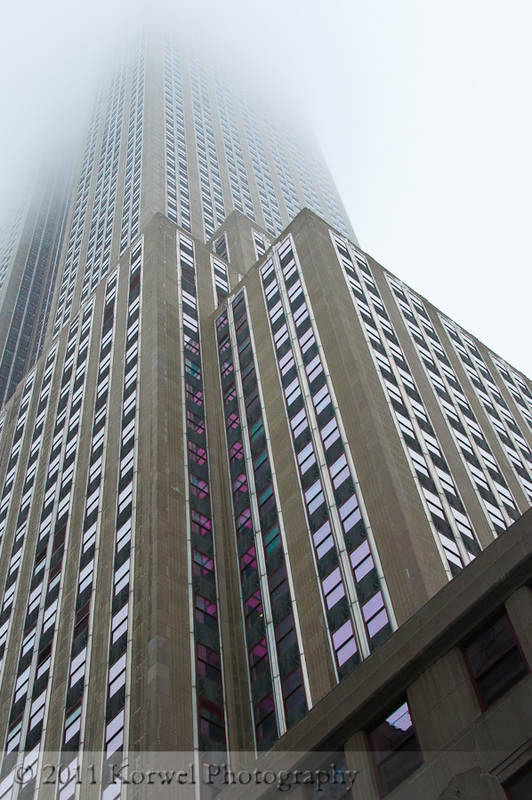 This image of Empire State Building is one of my favorite. It would be almost grey and boring monotone, if there wasn’t for the strange pink cast on the windows in the lower floors. I added some saturation to it, to highlight it, as this is what made me take this picture.